The IZI-flow valve is connected on its lower side to the water supply (angle valves on the wall), and on its upper side to the water tap. A flexible cable connects the valve with the activation pedal. While the pedal is depressed, the valve is open and water flows. Upon releasing the pedal, water flow stops. The controlling lever of the faucet always stays open. Water flow-rate and temperature are preset on the original faucet controlling lever. IZI-flow valve is fully mechanical and is independent of any electrical supply. 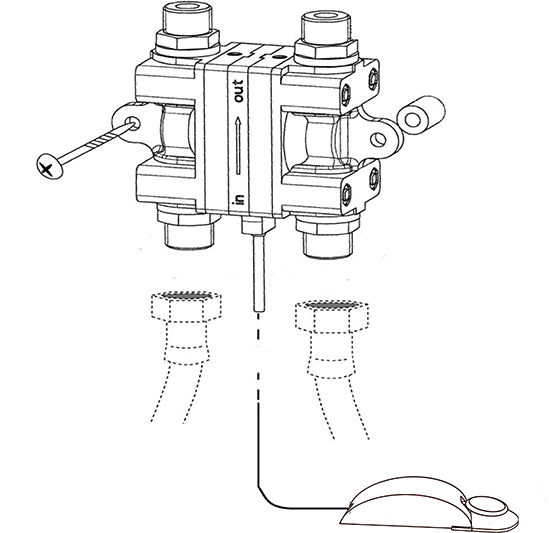 The valve is controlled by mechanically pressed pedal, which releases the flow of water. Unlike systems with infrared sensors,which are based on electronic principle, IZI-flow for example, will never be affected by dishes or any other stuff that filling up a sink. It is the appropriate instrument in such cases. The innovative IZI-flow® water valve allows easy foot-operation of every faucet, in generally every application. There is no need for performing any changes in the cabinet or in the plumbing infrastructure. 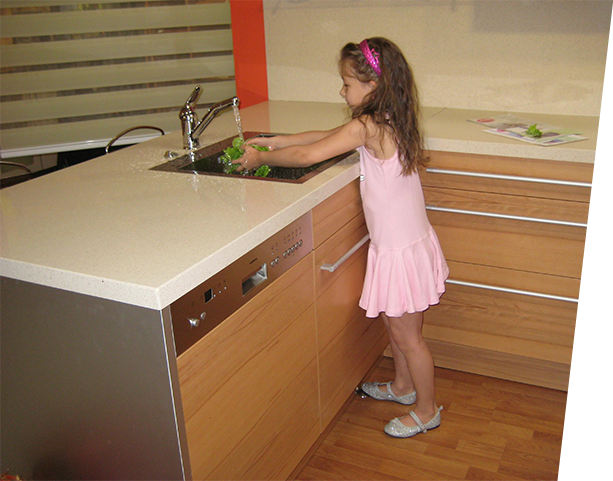 Hygiene - hands-free operation–hospital, dental clinic, food plants, butcheries, toilets, bathroom. Quick and easy installation– no change in infrastructure of the water supply pipes. Original faucet design- No need for any changes in the faucet. Return to manual operation - The tap can always return to its original hand operation, by simply plugging a wedge in the pushed down pedal.